Typhoon Dolphin blows over southern Japan. The biggest space story this week is somewhat stunning: due to Russia's concern about the control problems manifested in the loss of the Progress 59 cargo craft, the return of three of the ISS crew will now be delayed until June. 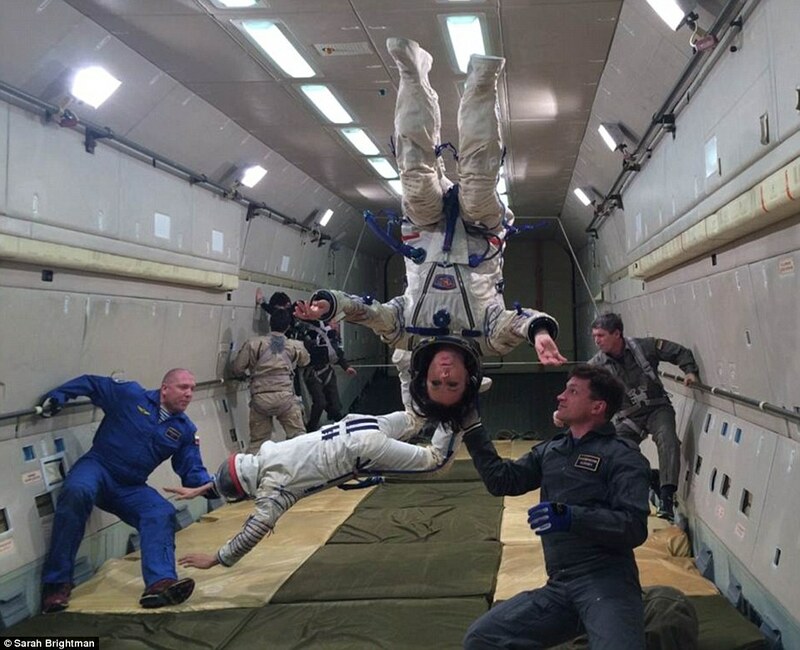 According to the New York Times, NASA astronaut Terry Virts, ESA astronaut Samantha Cristoforetti, and cosmonaut Anton Shkaplerov, who were supposed to return to Earth this week, will have to wait several more weeks to enjoy the warm embrace of gravity again. Furthermore, the new crew of NASA astronaut Kjell Lindgren, cosmonaut Oleg Kononenko and Kimiya Yui of the Japan Aerospace Exploration Agency (JAXA) will be spirited to space in late July, not late May, as originally intended. Still, better safe than sorry, when it comes to spaceflight. Regarding supplies for the astronauts, NASA spokeswoman Stephanie Schierholz said, “We keep plenty of supplies on the space station so we can have the flexibility to do something like this." Plenty of provisions remain on-hand for the ISS crew, despite the loss of the Progress 59. A fresh SpaceX resupply ship is due to arrive on June 19th. Another astro-adventurer currently postponing a trip to the ISS is actress/singer Sarah Brightman. According to the Daily Mail, she too was concerned about the condition of the Russian launch craft, but decided to delay her own extra-planetary tour for personal reasons. Brightman, training above Russia. She certainly appears committed. A statement released Wednesday explained, "Ms. Brightman said that for personal family reasons her intentions have had to change and she is postponing her cosmonaut training and flight plans at this time...She would like to express her extreme gratitude to Roscosmos, Energia, GCTC (Gagarin Cosmonaut Training Center), Star City, NASA and all the cosmonauts and astronauts, for their support during this exciting time in her life." Speculation arose that Brightman had not raised the tens of millions of dollars for the flight, or had not passed the extensive training with enough distinction. Eric Anderson, chairman of Space Adventures, Ltd. (the organization who had set Brightman up with Roscosmos), shot down some of these claims, explaining, "We've seen firsthand her dedication to every aspect of her space flight training and to date, has passed all of her training and medical tests. We applaud her determination and we'll continue to support her as she pursues a future space flight opportunity." NASA astronauts Terry Virts and Scott Kelly spoke openly about the delay in spacecraft arrivals, as well as other interesting elements of space station life in a video interview with Time this week. Outside of the launch drama, scientific business continued apace on the ISS. The SpaceX Dragon was packed up to return completed experiments to earth on May 21st, and a variety of maintenance tasks were also completed. In addition to upkeep of the various experiments already underway on the station, Cosmonauts Gennady Padalka and One-Year crew member Mikhail Kornienko also studied acoustic techniques to be able to quickly locate micrometeoroid impacts, which despite their small size can still cause serious damage to the station’s exterior. Astronaut Cristoforetti, who is admittedly excited to be staying in space, snapped some amazing images of the Dolphin typhoon wreaking havoc on Earth, just south of Japan. The Dolphin typhoon must be like a rollercoaster for actual dolphins. That's all for this week, space fans! Tune in next time to see how the return of the Dragon went, and news on how the brave Expedition 43 crew plans on making it back home! See you soon...watch this space! Missing Earth's craziness for a while longer isn't so bad, though. For example, check out these dust clouds over the American midwest!